Suryakantam USA Premieres on March 28th..!! "Suryakantam" starring Niharika, Rahul Vijay and Perlene Bhesania is all set to hit the screens on March 28th in USA. Titled after legendary actress “Suryakantam” who is known for her versatile acting, our Suryakantam is a girl who turns the world upside down, a girl you can’t ignore, a girl you would have fallen for. 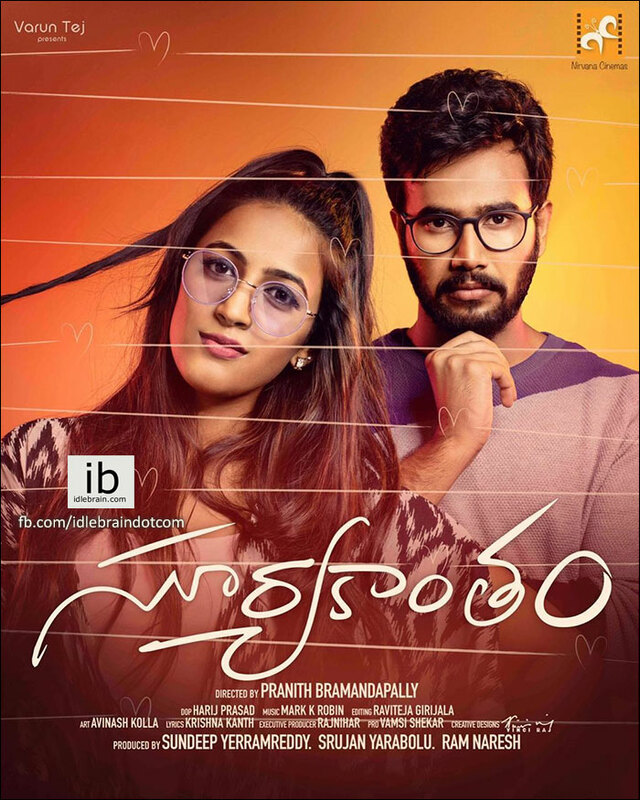 Written-directed by debutant Pranith Bramandapally of Mudda Pappu Avakai series fame, Produced by “Nirvana Cinemas” and Presented by “Varun Tej”, this Rom-Com entertainer has Sivaji Raja, comedian Satya, Suhasini and many others playing important roles. All the released posters, teasers generated a lot of curiosity among the audience. Audio launch and pre-release event that was held recently increased the buzz for the movie and the Audio is an instant hit. The theatrical trailer that was released a couple of days back looks very refreshing and promises a fun filled new age kind of love story. The music of “Suryakantam” is composed by “Awe” fame Mark K Robin, while RaviTeja Girijala is handling the edit and Harij Prasad is behind some mind-blowing visuals as cinematographer. Drives are delivered to all the locations, KDM's are issued and we are all set for the PREMIERES..!! Online booking opened in all the locations..Book your tickets now and Go Watch this FUN FILLED, NEW AGE LOVE STORY with your Family & Friends and laugh, have FUN, Enjoy..!! See you in theaters..! !